If you are a vaper who enjoys a more hands-on experience, who rebuilds your own coils, then this product is a must have. Due to it being 100% organic Japanese cotton, you will get nothing but a superior vaping experience. 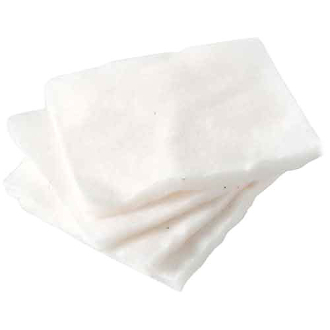 Because the cotton pads are interwoven they give you exceptional favor and are able to hold a vast amount of liquid. We recommend picking up more than one bag so you always have some on hand whenever the need arises to replace your coils. Replacing your coils on a regular basis will ensure that your atomizers are firing correctly and that you will get the best performance from your atomizer. 1 bag with 2 inches of organic cotton.